To commemorate 1 year anniversary of Korea Tourism Organization’s Instagram page @travelgram_korea, special exhibition will be held at Korea Tourism Organization Seoul Center until January 1, 2019. The exhibition will showcase both photos and videos of beautiful tourist attractions around Korea. The visitors to the exhibition will be able to witness the four seasons of Korea as well as participate in #koreabymecampaign and enjoy various photo zones. Special #koreabyme party will be held on December 7, 2018. 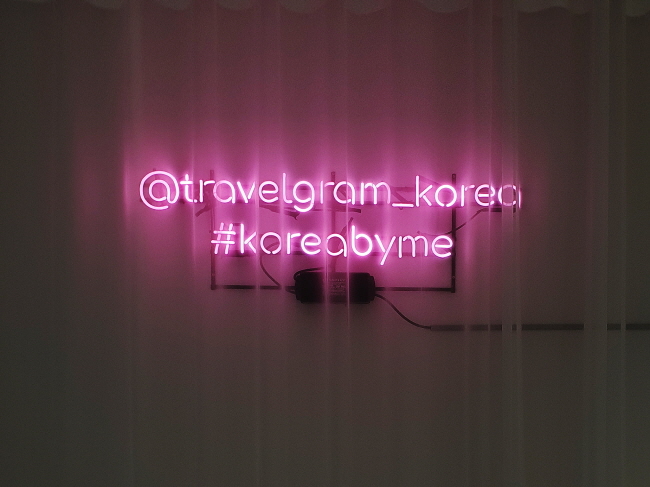 Visitors can mingle with travel creators at community party, or print out photos you uploaded on Instagram at #koreabyme photo booth. Events such as making customized postcard and limited edition EXO souvenir giveaways are also planned. ☞ Direction: Jonggak Station Station (Seoul Subway Line 1), Exit 5, walk approx. 5 min. Euljiro 1(il)-ga Station(Seoul Subway Line 2) Exit 2, walk approx. 5 min. limited edition EXO souvenir event etc.